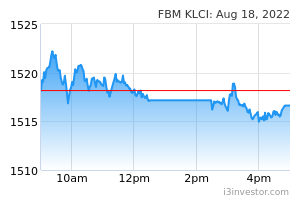 Reason Transfer of 10,800 Ordinary shares in Axiata Group Berhad ("Axiata Shares") from Khazanah Nasional Berhad ("Khazanah") to Axiata's employees via CIMSEC Nominees (Tempatan) Sdn Bhd in connection with Axiata's Performance-Based Employee Share Option Scheme ("Axiata ESOS"). Transfer of 85,750 Axiata Shares from Axiata's employees to Khazanah via CIMSEC Nominees in connection with Axiata ESOS. The transfer of Axiata Shares to/from Axiata's employees is made in accordance with the Selling Flexibility Arrangement under Axiata ESOS to facilitate the immediate sale of Axiata Shares by Axiata's employees who have exercised their Axiata ESOS options under this arrangement. Taking into consideration the transfer of shares/return of such number of shares, Khazanah is deemed to have an interest (pursuant to Section 8 of the Companies Act, 2016) in 52,700 Axiata Shares, being the outstanding number of Axiata Shares to be returned to Khazanah under the Selling Flexibility Arrangement.